Why are crudely designed pinups included in an exhibition on the fine art of printmaking? 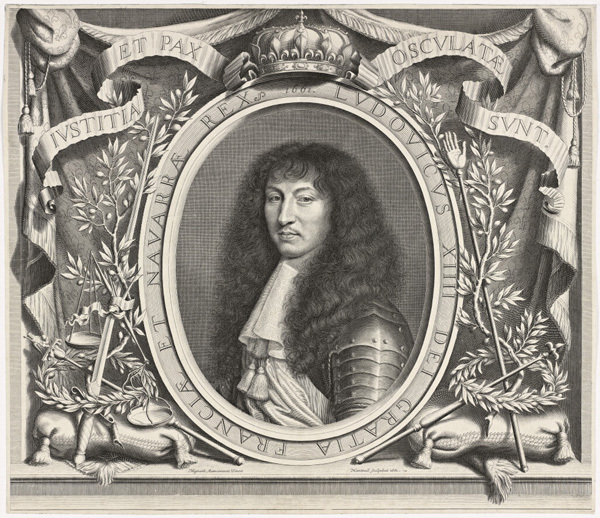 The era of Louis XIV was the golden age of the printed portrait. 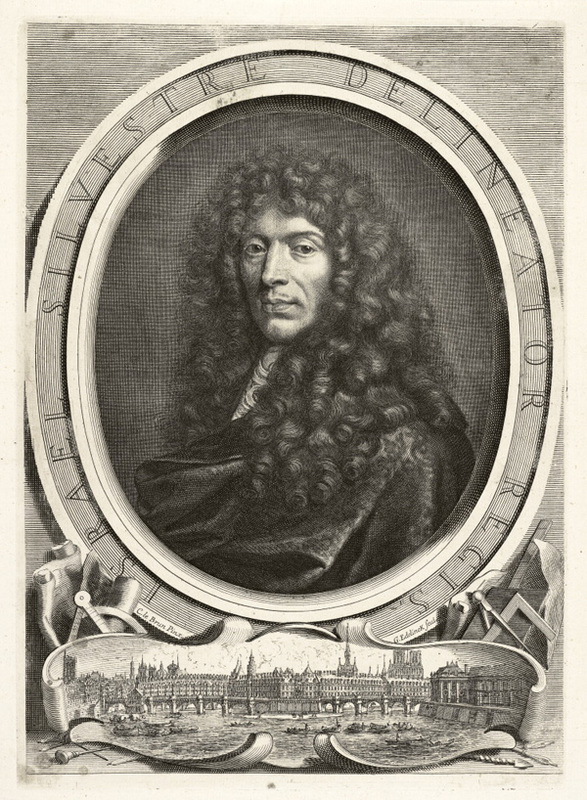 As engravers, artists such as Robert Nanteuil, Antoine Masson, and Gérard Edelinck were virtuoso manipulators of the burin, the tool with which they manually incised precise, sharp lines into a copperplate. 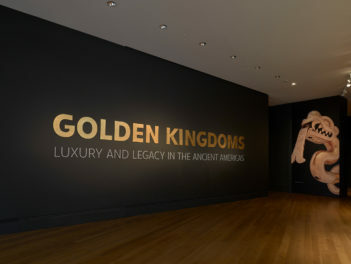 As impressive as their ability to project the lifelike quality of their subjects, whether king, bureaucrat, or artist, was the skill with which they captured surfaces and textures–jewels, lace, armor, textiles, velvety robes, and hair. “Stuff” was obviously as important as flesh. 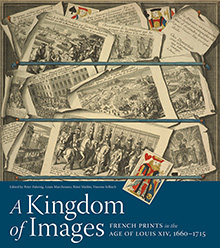 You can find a great introduction to the genre of the printed portrait in our catalogue for the exhibition A Kingdom of Images: French Prints in the Age of Louis XIV, 1660–1715. Here my collaborator Rémi Mathis leads us on a tour, from the ubiquitous portraits made in a simple, severe style to the finest portraits that can only be described as masterpieces. In addition to the straightforward portrait print, we find a variety of group portraits populating the exhibition and the book. 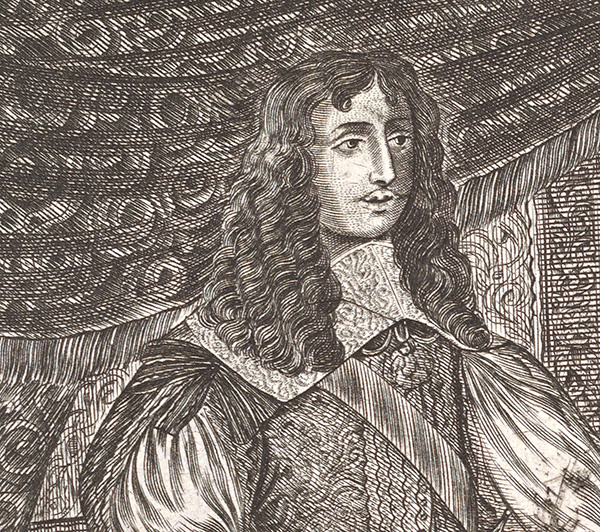 One of these is The King’s Reception, in which Louis XIV and his queen Marie-Thérèse present their newborn Dauphin (meaning dolphin), as the heir-apparent was formally known. My friends are usually surprised to learn that this is one of my favorite prints, despite the fact that it is anything but a masterpiece. 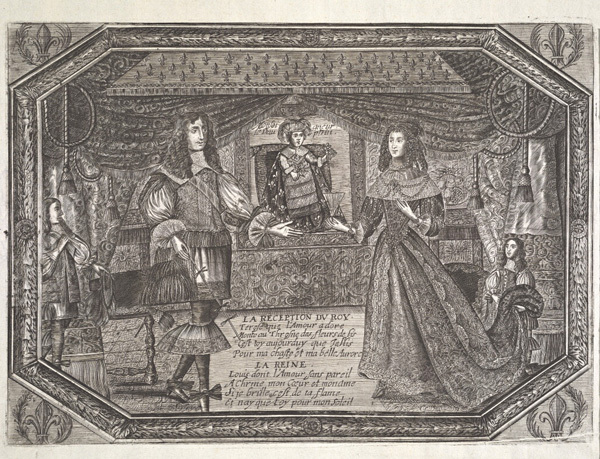 Which is worse, I like to ask, the limited linear vocabulary of short hatching and the crudeness of the perspective, or the fact that the king and queen appear to be dressed in a fashion from an earlier era? No matter. To me, this crudely made image is fascinating because it tells us about an audience for mass-produced prints that went far beyond the one for fine engravings. 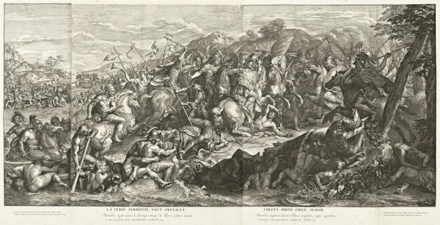 And it puts the refined prints into a wider historical context that makes them all the more interesting. We have no idea who made or published the print, but we can speculate that it was produced shortly after the birth of the Dauphin in 1661. It was made for a popular audience able to afford an image commemorating one of the most important events of any monarch’s reign—that is, the production of a legitimate heir. 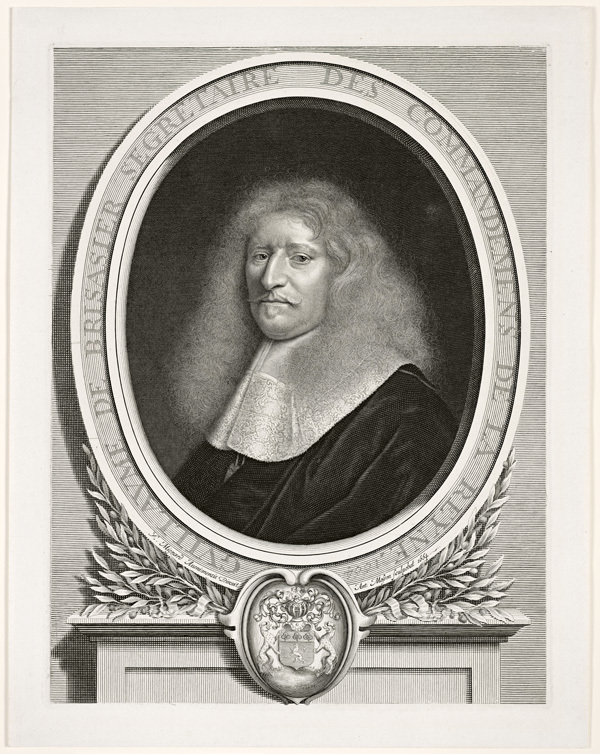 Displaying The King’s Reception beside one of the ultra-refined portraits made by Nanteuil is the most effective way of showing how prints addressed different kinds of audiences. This is a story that would not be told if the exhibition focused exclusively on the finest graphic works by the finest printmakers of the period. Well done. I’d enjoy seeing a representative treatment of comic book art with its use of halftone and Benday dots. Weegee dines with Lichtenstein.